Paper Copy of 122 Year-Old Record Played Back! In an awesome case of 1890s cutting-edge tech meeting modern technology, sound historian (yes…that’s a job) at Indiana University, Patrick Feaster, has done something amazingly nerdy and fantastic. While looking for an illustration of the world’s oldest recording studio for a talk he was giving on Thomas Edison’s recordings, Feaster pulled a book for research. Upon glancing at the index, he noticed there was an article on the gramophone. When he turned to the article? A paper print of the actual recording. By scanning these paper copies Feaster is able to unwind or ‘de-spiral’ the line that the needle would follow on the physical record. Remarkably these unwound spirals look a lot like a modern audio file. Using special software, Feaster is able to then play back the audio captured from a flat photo. Feaster had already done this twice with two other recordings. What makes this recording interesting is that it predate his other finds. 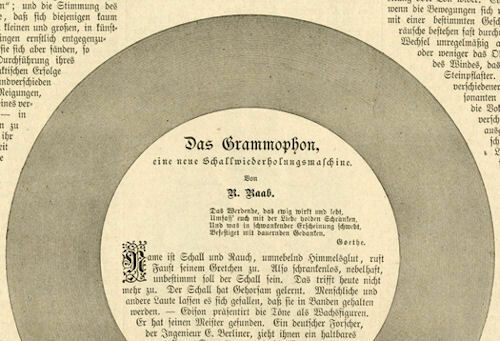 According to Feaster and his colleagues what he accidentally stumbled across was the earliest known gramophone recording ever made…printed out on paper…and played back 122 years later. A graduate student attending the University of Georgia has created a 52-minute album featuring musically transcribed HIV afflicted DNA. The distinctive song “serves to defend territory or might even be a precursor of the music humans make,” the statement added. Is it Music Monday up in this piece or what? This little ditty comes from Weird Things reader Joatmon who worked with band The Indoorfins to sing about the Tiktaalik, a fish that walked on its fins. Read all about this awesome creature here. 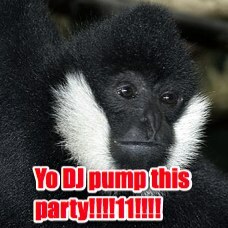 It’s a mellow groove to an evolutionary link. Tik tik tik Tiktallik!